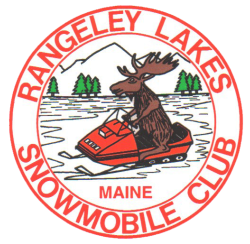 Welcome to the Rangeley Lakes Region, home of the best snowmobile trail systems in Maine. flawlessly groomed Ronald W. Sargent Trail System. Well folks, that's a wrap! We did an evaluation on the trails and grooming anymore just doesn't make sense. Trails are still open for the time being (except Depot street to Dallas Hill.) The trails as of this morning are ROCK HARD. There are wash outs, bare spots & hazards, if you ride be careful! We are sending the Bully out with the saw a few more times, so please keep your eyes peeled. We would like to thank each and everyone of the members that have made our club one of the best Clubs in the state of Maine! The 2019-2020 Membership submission will open in August 2019. Thanks again for a great season!